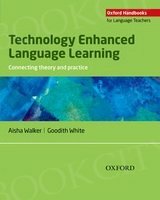 245 1 0 %a Technology enhanced language learning : %b connecting theory and practice / %c Aisha Walker, Goodith White. 260 # %a Oxford : %b Oxford University Press, %c copyright 2013. 300 %a XVI, 208 stron : %b ilustracje ; %c 26 cm. 504 %a Bibliografia na stronach -203. Indeks.